In 1978, Gulf Mississippi Marine Incorporated became Gulf Fleet Marine Incorporated of Houston, Texas. Gulf Fleet Marine Incorporated, was owned by the Houston Natural Gas Company of Houston, Texas. The company also owned Quality Shipyards of Houma Louisiana. Quality Shipyards was included in the merger deal. 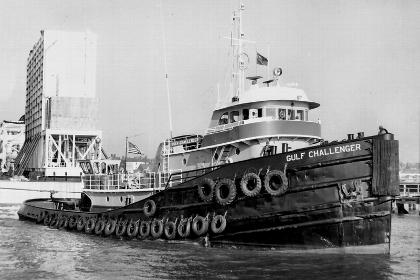 At the time, Gulf fleet owned one hundred fifty-nine vessels. Including crew boats, supply, anchor handling tug supply, and conventional offshore tugs. On January 15th, 1992 Zapata Gulf Marine merged with Tidewater Marine Incorporated of New Orleans, Louisiana.